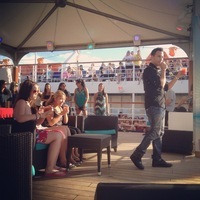 TWO FULL days trapped at sea with NKOTB on the ship - DAY & NIGHT THEMED DECK PARTIES. MORE FACE TIME. The NKOTB Cruise 2014 will be 16 and older. No one under the age of 16 will be permitted. If anyone books a child under the age of 16, their reservation will be cancelled and their money will be refunded. The remaining passengers in the cabin will be subject to the higher rate. Rose Tours is proud to welcome GOO GOO DOLLS to the MATCHBOX TWENTY CRUISE! The 2012 weezer cruise went down in history as an amazing new chapter for weezer and our fans, and everyone who stepped off that boat was wishing they could have just kept on sailing with all the great bands and fun activities. Well, naturally we wanted to do it again, and it was only a matter of time for us to sort out the details! 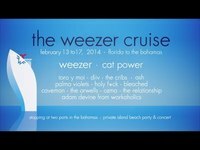 So folks, check it out -"the weezer cruise 2: Atlantic Boogaloo!